C. H. “Hoot” Fry was born November 21, 1930 in Canadian, Texas to Jessie Ellen and Robert Franklin Fry. He passed away July 27, 2017 at Woodward, Oklahoma at the age of 86 years, 8 months, and 6 days. 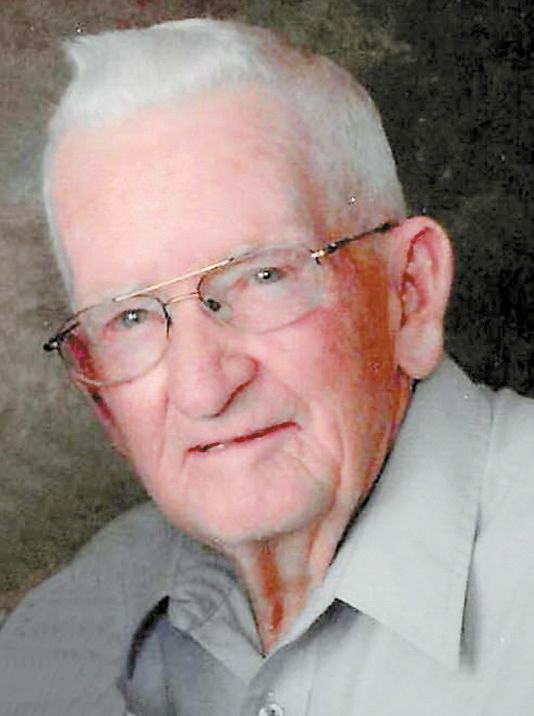 Hoot grew up in Canadian, Texas and graduated from Canadian High School in 1949. He enlisted in the US Air Force and served his country during the Korean War. After his discharge, he returned to Texas and went to work in the fall of 1954 for his Uncle Huston on the Stickley Ranch, west of Reydon, Oklahoma. He was married to Yvonne Crowley at Clovis, New Mexico on December 17, 1955. They remained on the ranch until 1979 when they moved west of Reydon and he began working for Bud Hickey on his ranch for the next 20 years. After retiring, he remained in the Reydon area until 2009 when he and Yvonne moved to Leedey, Oklahoma. Hoot was a Firefighter with the Reydon Fire Department for over 20 years and retired in 1996. He was a member of the Reydon First Baptist Church. He was preceded in death by his parents, wife, and a brother, Bobby Fry. The family requests memorial donations be made to Cal Farley’s Boys Ranch or the Reydon American Legion. He is survived by his daughters, Cheri Thionnet and husband, Terry, of Petrolia, TX., Cathy Baker, Hammon, OK; 4 grandchildren, Jeremy Thionnet and wife, Marty, Cheyenne, OK, Tara Frost and husband, Lee, Henrietta, TX, Erica Baker, Reydon, OK, and Kelsey Baker, Leedey, OK; 5 great grandchildren, Blaine and Caden Frost, Kelsey Kerlick and husband, Clayton, Kaitlyn Garrett and husband, Zane, and Kasady Chandler, 3 great great grandchildren, his brother-in-law and sister-in-law, Bill and Pat Crowley of Leedey, Oklahoma and a host of other relatives and friends.